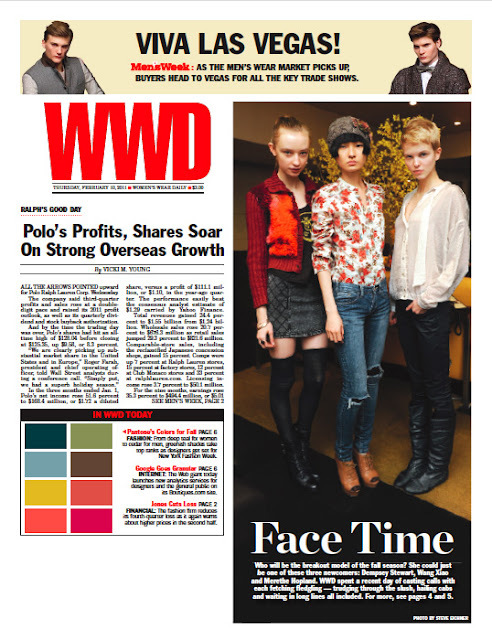 This time last week frockwriter mentioned that a contingent of Australian models was readying to take to New York Fashion Week's runways in what could be the biggest antipodian season to date. And after day one, it looks like they're off to a cracking start. 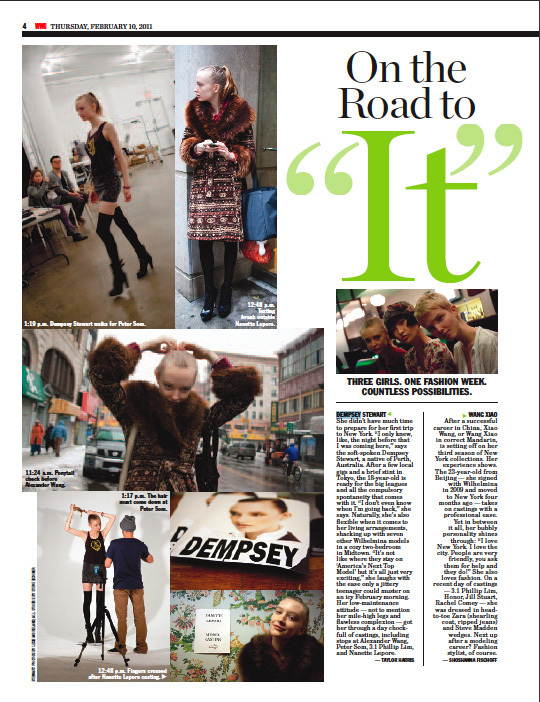 We didn't include Perth's Dempsey Stewart in that mix, but with a cover story on WWD yesterday (below) and the prestigious opening slot of Richard Chai's show (above), it's a little hard to ignore her. Chai in fact cast four Australians in his show: Codie Young, making her international runway debut, together with Julia Nobis and Ajak Deng. Later in the day Young not only opened, but closed the Wayne show (below). 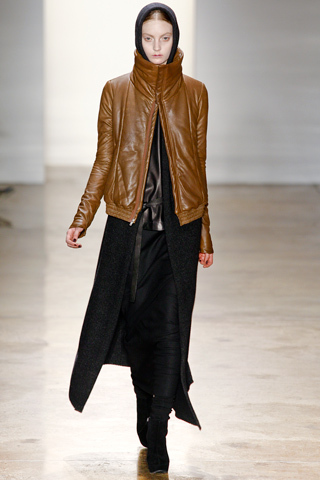 ANTM Cycle 6 winner Amanda Ware, meanwhile, made her OS debut in Wes Gordon's presentation. Saturday sees the arrival of two hot Aussie men - including, as reported, Jack Vanderhart, as an exclusive for the Calvin Klein Collection mens show. And it's only the first weekend of the season.